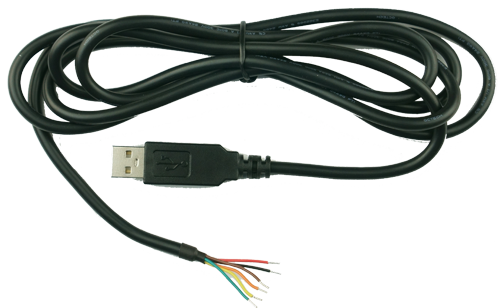 The FT234XD designed USB TTL Serial cables are a range of USB to serial converter cables which provide connectivity between USB and serial UART interfaces. A range of cables are available, offering connectivity at 5V or 3.3V signal levels with various connector interfaces. All cables feature an FTDI FT234XD device integrated within the cable USB type ‘A’ connector, which provide access to UART Transmit (Tx), Receive (Rx), RTS#, CTS#, VCC (5V) and GND connections. All cables are fully RoHS compliant and are FCC/CE approved. All cables are 1.8m in length.